In February of 2017 Fire Security embarked on a mental health and wellbeing awareness journey with Suffolk Mind. The relationship has since progressed into our participation in their pioneering programme entitled Workplace Wellbeing Performance. 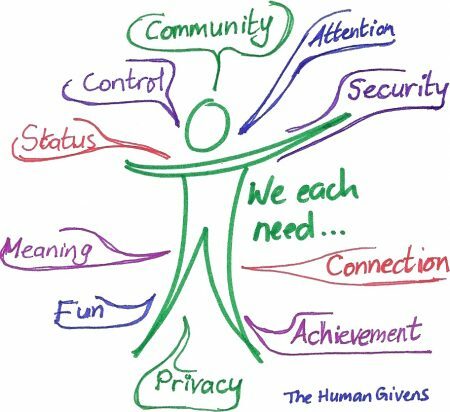 The programme is based upon the ‘Human Givens’ approach; we are all born with innate knowledge and resources to meet our physical and psychological needs. These needs can be met through a healthy work and home life balance but each need must be met to maintain a healthy wellbeing. In order to determine which needs are being met, Suffolk Mind carry out a quarterly Emotional Needs Audit on all Fire Security employees. Results of the audits are fed back into the management team with changes actioned where possible to address and unmet or part-met needs. So far, changes have resulted in increased holiday allowance, break-out facilities, an endless fruit bowl, softening of the office environment, clearer job descriptions and targets, introduction of private health care scheme. “Fire Security have embraced Wellbeing Performance with the enthusiasm and dedication we would expect only of the most forward-thinking organisations. It’s been a pleasure working with them.” Naomi Simons, Suffolk Mind. In this changing world where technological advances are resulting in a culture of impatience and instant gratification, work related stress is reaching epidemic levels; “a time bomb ticking away in the basement of UK plc” states Psychologist Dr Michael Reddy of the counselling firm ICAS. Fire Security became the first UK Company to enrol on the AXA backed Equipsme Health Insurance Plan including an add-on stress support helpline and counselling service. All colleagues are encouraged to switch off mobile phone emails after 5pm and divert phone calls and emails when on vacation. We appreciate that these actions will not eliminate the possibility of mental health issues. However, we hope that through education and action, the conversation regarding mental health will continue and the understanding of the Human Givens will mean a healthy workforce, both mentally and physically.